Stonewall Gazette: VIDEO: Adam Lambert Performs "Fever"
VIDEO: Adam Lambert Performs "Fever"
Adam Lambert was heating things up during his concert at the Nokia Theatre in New York on Wednesday. 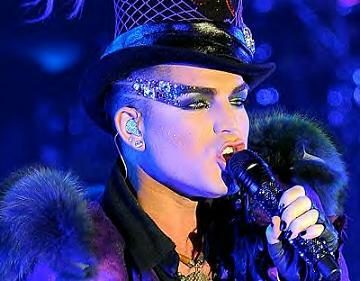 VH1 has posted Adam performing Fever from his CD For Your Entertainment. Enjoy!